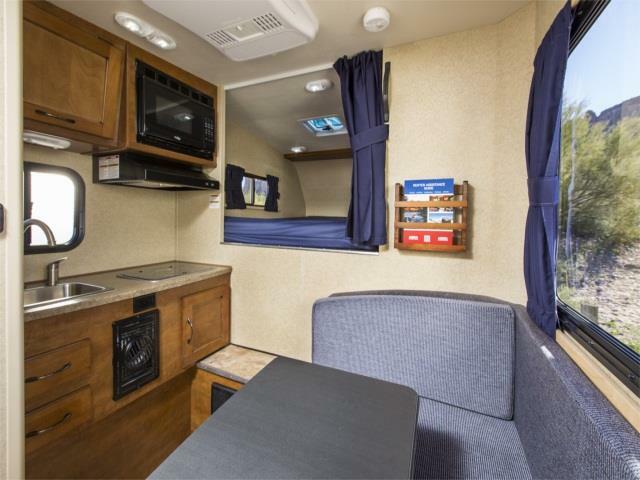 The newest addition to our fleet is the T17 Truck Camper. 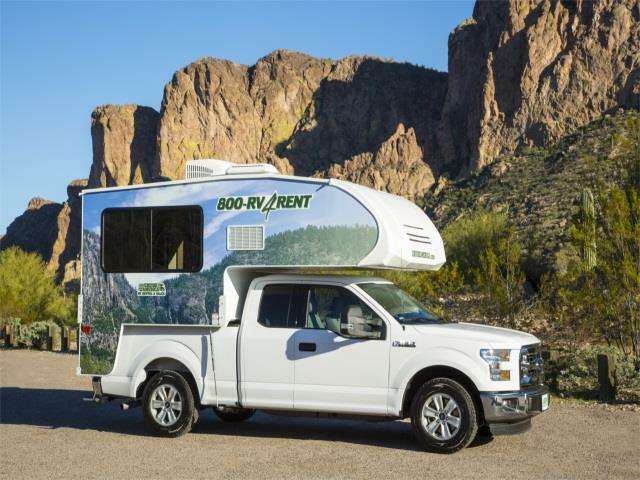 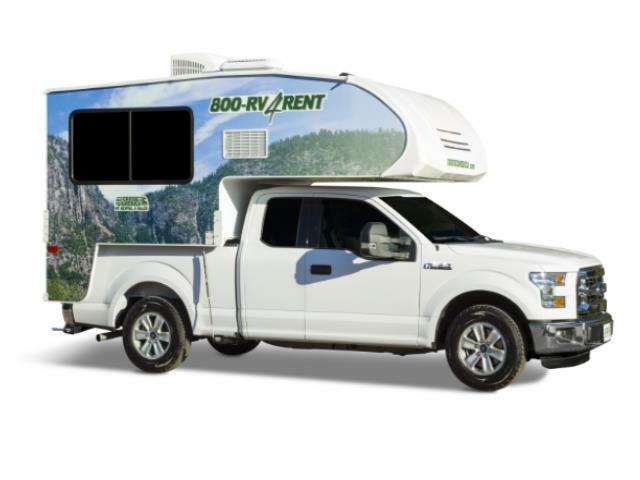 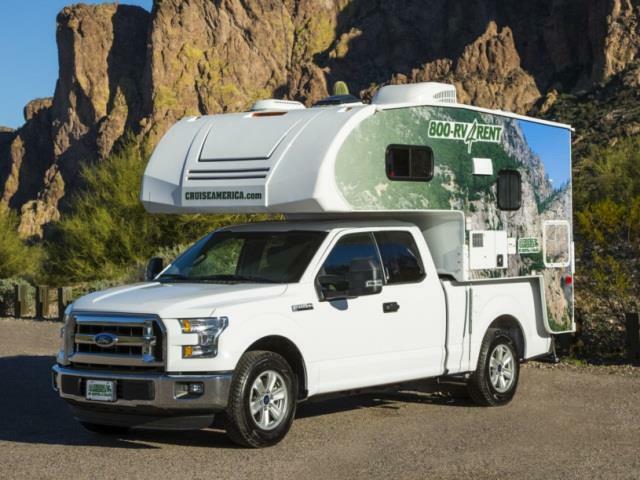 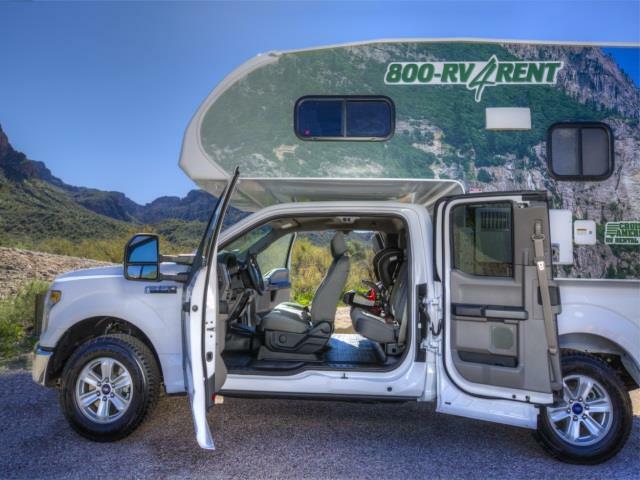 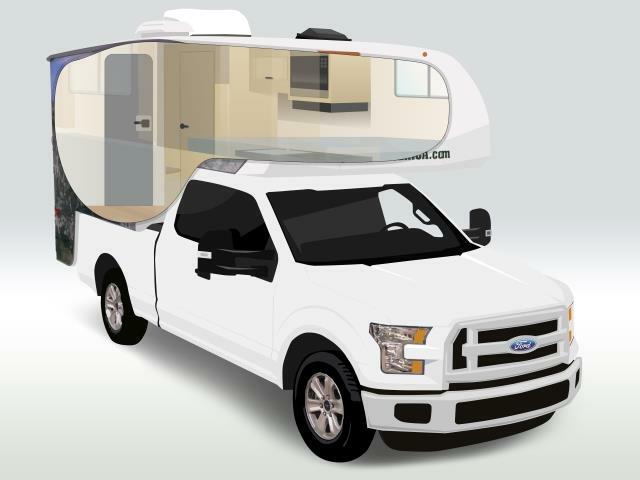 It is attached to an F-150 truck making it easy to drive and manoeuvre for first time renters. 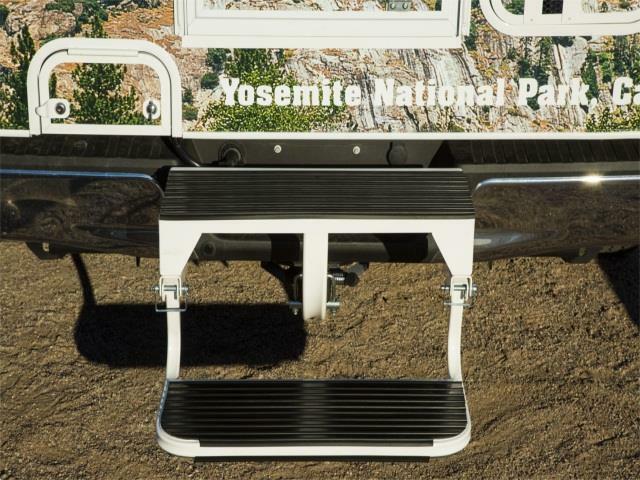 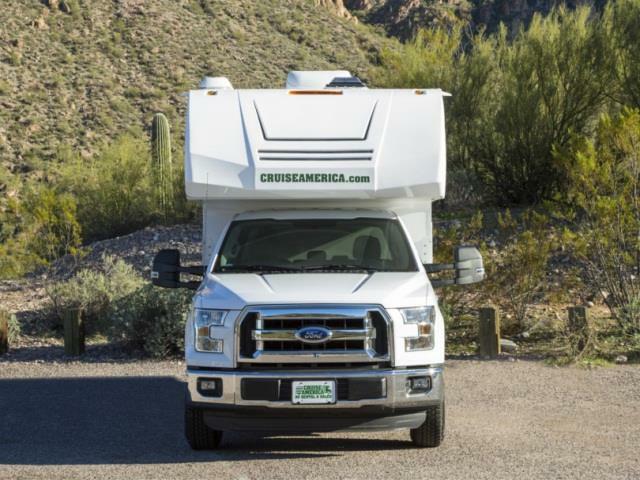 The truck camper has plenty of power to master even the steepest terrain. 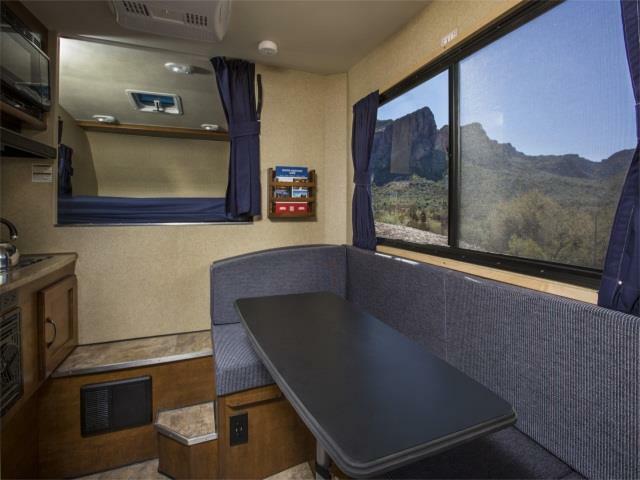 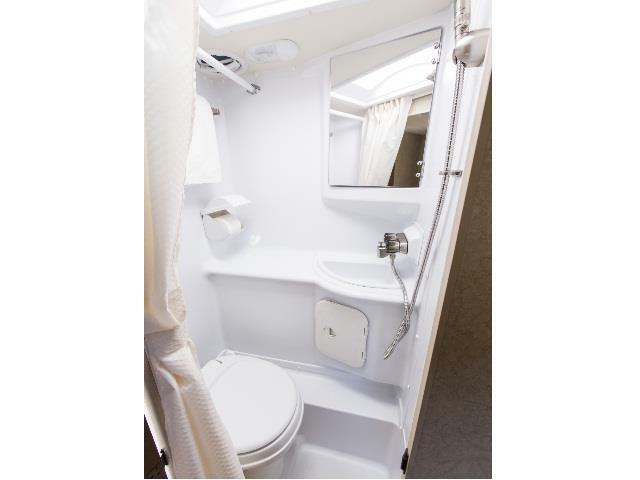 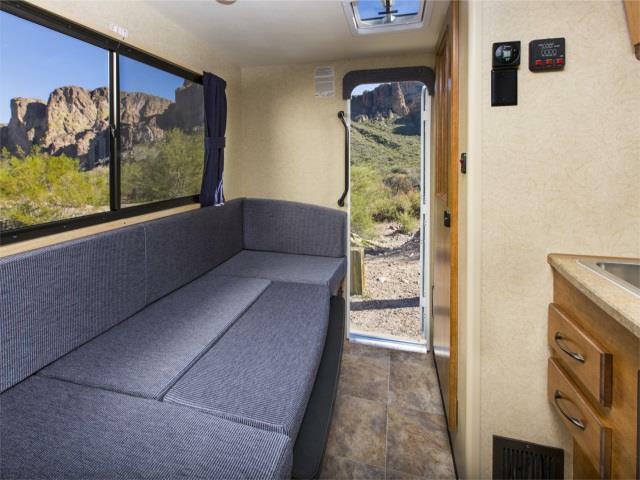 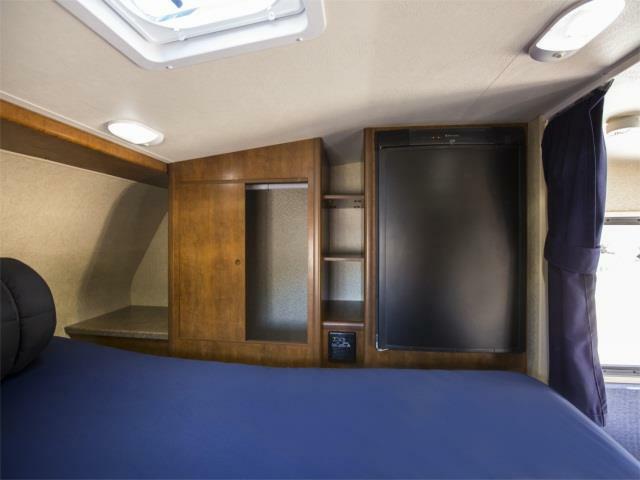 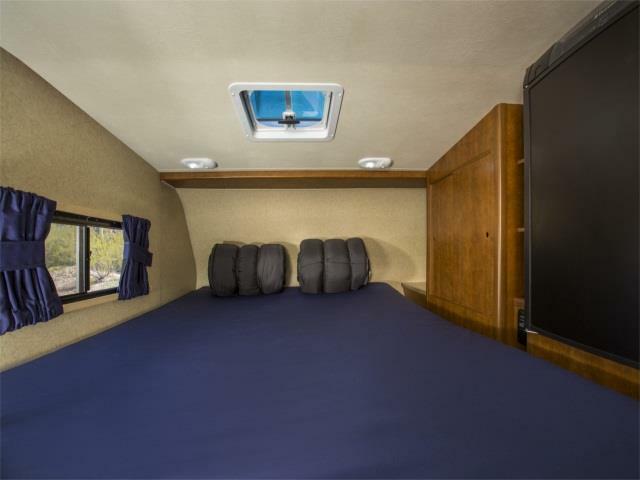 Whatever your plans, the T17 offers comfort and accessibility. 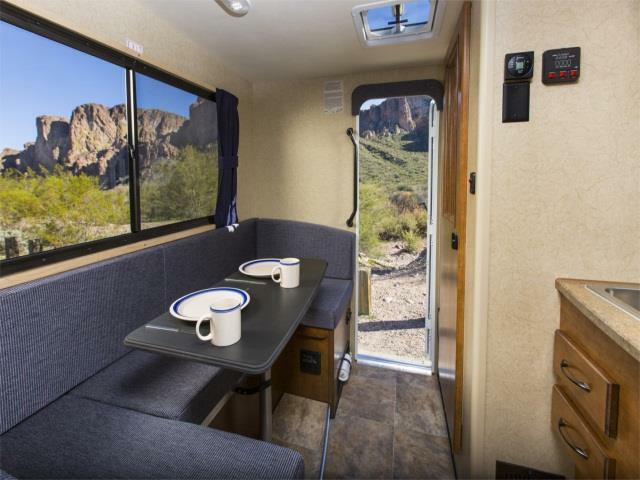 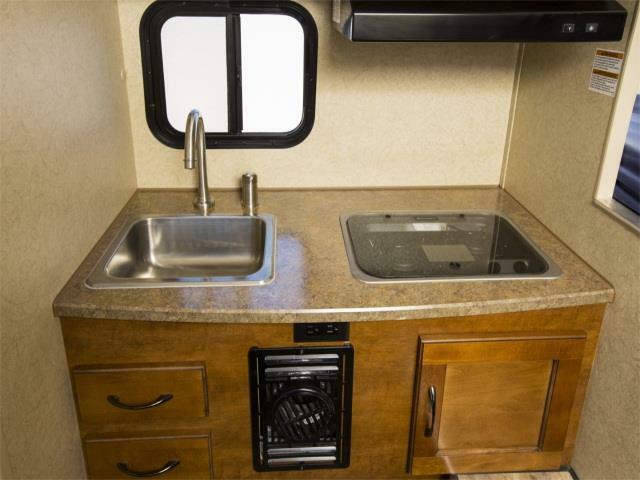 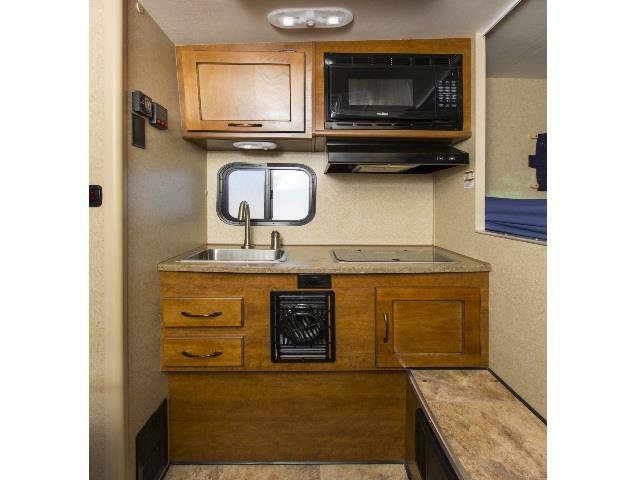 Kitchen : Refrigerator: 3 Cu Ft.
Rear Seats Fold for Additional Storage. 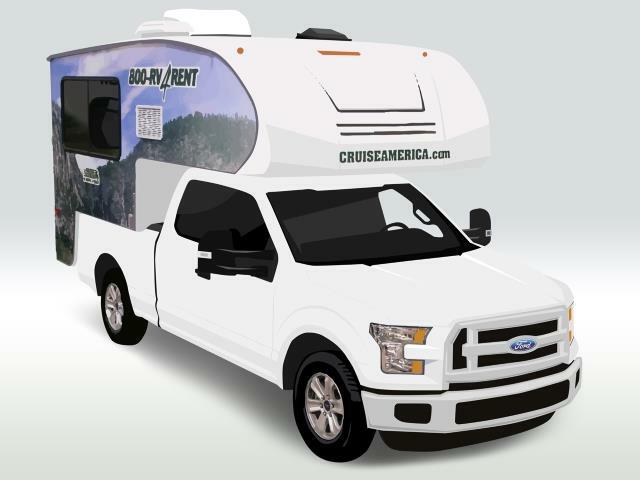 14 MPG(approximate only). 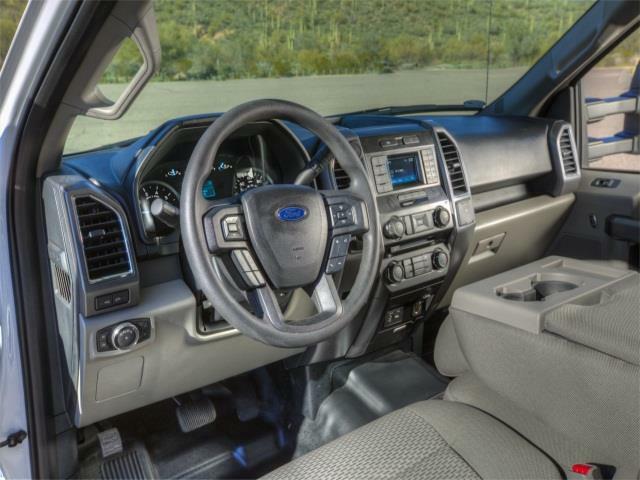 Driving style and conditions will effect consumption, average consumption between 7 and 13 miles per gallon. 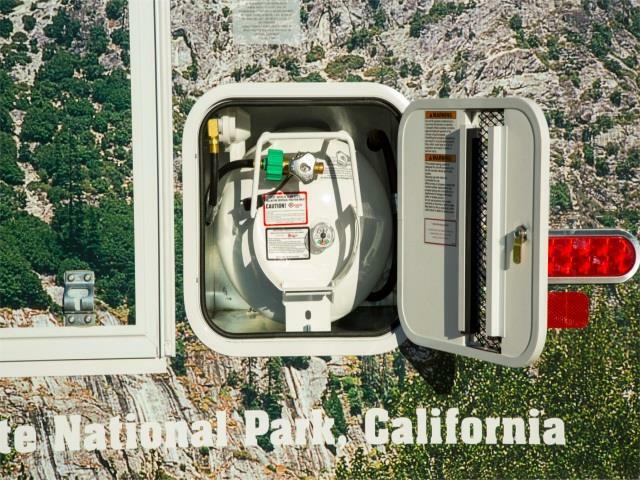 Power Supply : Light is powered by the auxiliary battery system. 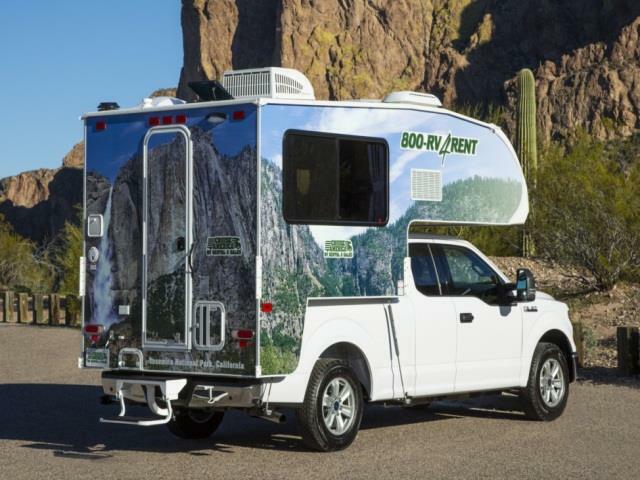 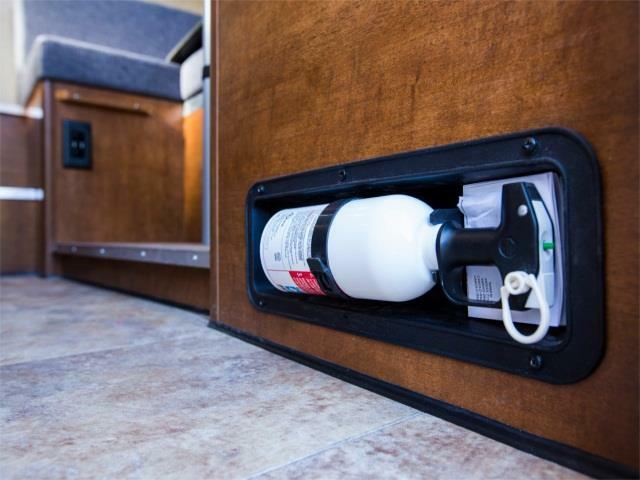 There is a power cord supplied with the vehicle, when plugged into an external power point at a camp site it will power the Air con, microwave and 110 volt outlets. 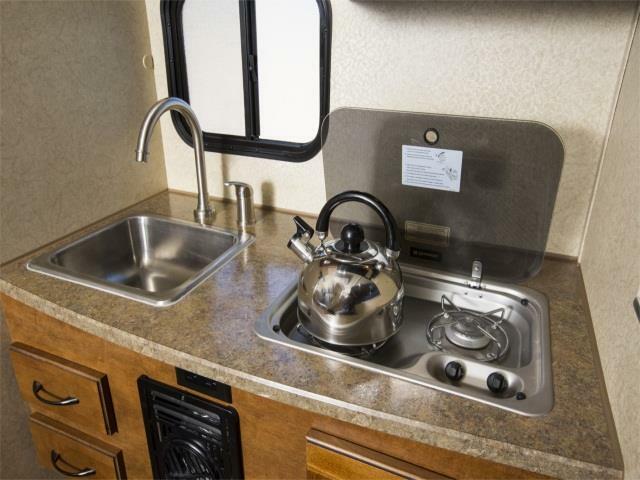 The fridge, burner, furnace and water heater are LP Gas powered.